Chemistry is often referred to as the "central science." It is important to anyone seeking a career in the sciences. It is also a wonderful component in a liberal arts education. Many chemistry majors elect to continue their education by attending graduate or professional schools. For these students, as well as those wishing to directly enter the chemical industry, the bachelor of science degree is highly recommended. For students planning to attend medical, dental, veterinary or pharmacy schools, the bachelor of science degree is recommended; but these students may find that the bachelor of arts program allows more flexibility. 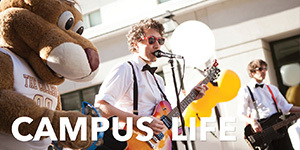 Students pursuing a minor in secondary education usually opt for the bachelor of arts program. 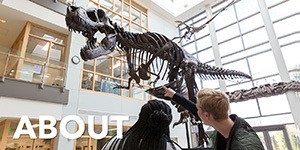 The biochemistry degree program provides a firm foundation for further graduate study in biochemistry, chemistry, pharmacology, toxicology, and other biochemistry-based life sciences, as well as providing a rigorous course of study for students who pursue professional careers in medicine, dentistry, and pharmacy. In addition, students who elect not to continue their education would find themselves well prepared for technical positions in the newly emerging biomedical industries as well as the more traditional chemical, pharmaceutical, health-care, forensic and environmental fields. We offer American Chemical Society CPT certified B.S. degrees in Chemistry and in Biochemistry. We also offer a BA degree in Chemistry, and a minor in Chemistry. 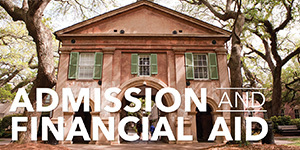 See the College of Charleston undergraduate catalog for the most recent degree and general education requirements. 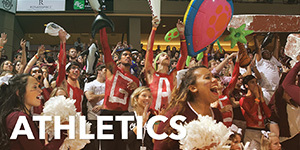 Recommended courses and course sequencing for our degrees are provided in our majors handbook. Students interested in admission to professional schools, such as Pharmacy, Nursing, etc. should make themselves aware of the admissions requirements of those programs and specific schools and work those requirements into their course plan as needed. 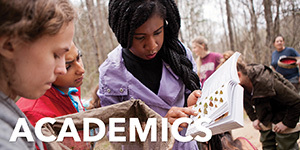 A focus of our program is to engage as many of our majors as possible in a faculty mentored undergraduate research experience. 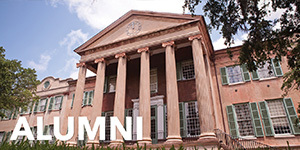 These experiences can be in conjuction with faculty working in our department, with faculty in another department at the College of Charleston, or with faculty at another academic institution, such as the Medical University of South Carolina (5 block away from our building). Webcam view of SSMB courtyard.